Martha Graham, one of the foremost pioneers of modern dance, once said that “great dancers are not great because of their technique, they are great because of their passion.” This is also very true when you ‘choreograph’ what needs to be a seemingly effortless HR service delivery – you must have passionate and skilled ‘dancers’ on your team. 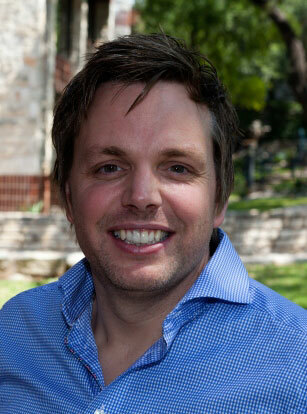 Well, I recently caught up with a passionate player in the HR Services space – the respected and seasoned Kane Frisby, Chief Strategy Officer for Dovetail Software. Since he is one of our featured ‘performers’ in the Dancing With HR Stars eBook, I thought it would be good to get his thoughts on the HR Service Delivery space. To hear more from Kane and other expert shared services panelists (Jim Scully and Cary Schuler), we encourage to register today for the HCI webinar How to Run HR Shared Services like a Thriving Business. 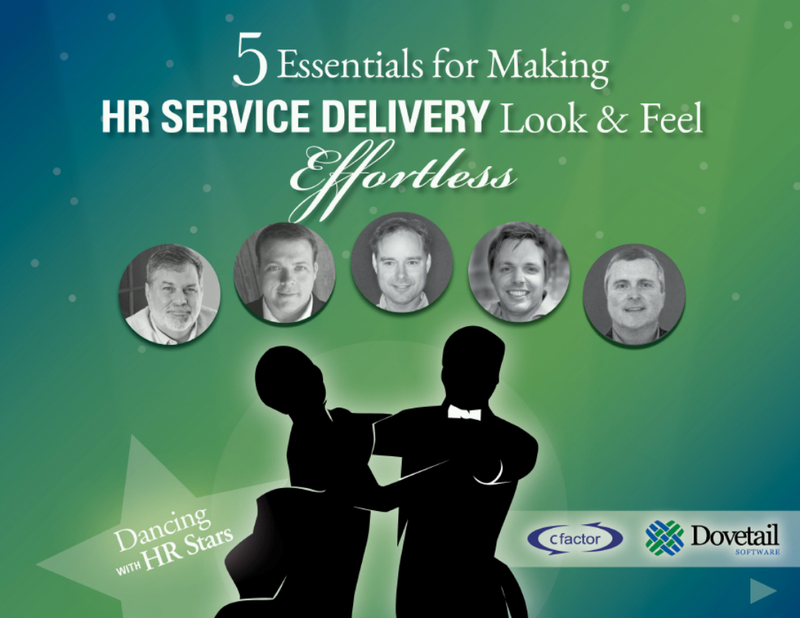 And if you have not yet downloaded Dancing With HR Stars: 5 Essentials for Making HR Service Delivery Look and Feel Effortless, download your complimentary copy here. Bonnie Clark (BC): What is your experience in implementing a new HR service delivery model? Kane Frisby (KF): Over the past 5 years I have led the process engineering and technical components of HR Shared Services and Global Payroll Outsourcing projects in the UK and Russia for global companies. I have often worked within the Dave Ulrich model for HR Shared Services. BC: What were some of your biggest implementation challenges? KF: Global by nature is one of the biggest challenges. Most of the time, companies are not documenting what they actually do on a day by day basis. A QMS (Quality Management System) should be in place so all employees and managers know and understand the necessary process. If companies do not know what their localized HR professionals are commonly doing on a day-to-day basis, it becomes more challenging to harmonize across a global footprint. You also have to take into account the legal and contractual laws within each country that you have localized HR deployed in. For example, in Russia you cannot pass employee data outside of the legal entity the employee belongs to without first obtaining a physical sign off from the employee. So ff you’re running a global payroll outsourcing project that encompasses employees based in Russia, you would be required to get a physical employee signature from each Russian employee prior to any Russian employee data being passed to the payroll outsourcing vendor. BC: When you were evaluating technology to support your shared service delivery models, what technologies did you consider essential and how important was it for these technologies to integrate? KF: The key tools are Employee & Manager Self-Service (ESS/MSS), an HR Help Desk solution, Electronic Content Management Software, advanced reporting software, Org Charting Software and CTI (Computer Telephony Integration) for the HR Service Desk. Deploying an Employee Self Service and Manager Self-Service product is key, since the goal is for HR to provide more value-add services to the business and do less transactional work. The HR Help Desk backs up the ESS/MSS when employees need to interact with real people for more advanced questions that an ESS/MSS cannot answer. CedarCrestone states that backing up a Shared Service Center with an Employee and Manager Self-Service along with a HR Help Desk helps to reduce overall administration work by a 15 percent. Advanced reporting and Org Charting software will allow you to put in place metrics that will provide key analysis for the service delivery, and value to the business. The CTI software is ideal for high volume HR Shared Services Centers that take a high volume of calls. BC: In the ebook, you discuss the DMAIC method for measuring and improving performance. Could you could provide a brief explanation of this methodology and why do you recommend it for HR Shared Services organizations? KF: DMAIC (Define, Measure, Analyze, Improve, and Control) makes sense because of its simplicity. All people involved with HR Shared Services transformation will instantly understand the process. When you are implementing change, you need some way of defining the change, and the business objective. Once you have defined this, it is key to your success to define how you would measure the result once the change has been implemented versus the starting state. Once you see the results, it is logical to analyze them, think of ways to improve them, and maintain control of the whole process. It seems to me that this type of methodology would be easy for anyone to connect with. An example I have experienced is improvements within the Time-to-Hire measure (TTH): Management declared that the current 60-day TTH for junior employees is far too long, and should be reduced closer to 30 days. We have just defined and set a measure for this change. On inspection it has been discovered that an approval step for compensation sign off within the hiring process is the bottleneck. All compensation amounts over $50k must be approved by the compensation committee which meets once per month. We now have some analysis, so let’s improve this. Since the junior salary band stops at $75k, the possible solution here was to increase the approval limit from $50k to $75K, and negate the need for the compensation committee approval on more junior employees. This was the improvement, and was put into place. Now the control part is interesting, while the market conditions are doing well, this change works well, however if there is a sudden hire freeze, or the salaries of junior staff goes up or down, further improvements and adjustments need to be made. BC: You also state that a sophisticated HR Help Desk solution is required to measure and analyze your HR service delivery performance. What are some examples of the analysis it could provide? KF: A sophisticated HR Help Desk application will also provide a multi-tiered service delivery model. The model has 3 tiers. Tier 0 is Self Service/ Portal. It is key to push Tier 0, since employees will answer their own questions at this tier decreasing the cost of HR Service Delivery. Therefore, it is imperative that the HR Shared Services Center has abilities to measure the Tier 0 adoption rates. For requests and inquiries that are not solved through self-service or if the company does not implement a Self-Service tool, then Tier 1 is the HR Help Desk route, with calls or emails being handled by people. A key metric here is the FCR (First-Call-Resolution) rate. This metric is a percentage of the number of calls taken and answered within the first contact with the employee/manager. A sophisticated internal Knowledge Management system within the HR Case Management tool is key here to assisting the HR agents to answer calls on first contact. May I Have This HR Service Delivery Dance? Developing the choreography for a dance routine can be as fun and exciting as it can be daunting and intricate. There are particular strengths that you want to leverage from your performers; you want to entertain your audience; you want to give them things that they are familiar with; and you want to introduce them to ‘new moves’ that will knock their socks off! Similarly, building an employee community and executing seemingly effortless HR service delivery requires a carefully choreographed process, collaboration and practice. If done correctly, handling thousands of employee requests, effectively communicating with your employees, and being able to quickly provide reports detailing your HR team’s performance to your leadership team should all appear…effortless. Thankfully, you don’t have to know how to moonwalk to leverage HR technology to support your HR service delivery performance and make it look & feel effortless. You can create an efficient model for HR service delivery that truly delivers on the promise of providing an engaging environment in which employees can thrive. It is with this in mind that we are pleased to introduce Dancing with HR Stars: Five Essentials for Making HR Service Delivery Look and Feel Effortless. This complimentary eBook is a joint-effort with Dovetail Software that provides an in-depth look at all the components necessary to make your HR service delivery perform at the highest level to allow HR the opportunity to focus on more strategic initiatives. It’s not always a breeze to master new techniques – whether in our professional roles, or on the dance floor. However, when you learn from the experts it can make it a lot easier! Download your complimentary copy of “Dancing with HR Stars” and strive for the best performance in HR service delivery today!